Since only a portion of an endowed investment’s earnings is spent and the rest are channeled back into the fund, an endowment grows over time. This way, an endowment becomes a long-term source of funding for whatever a donor wishes to achieve with his or her philanthropy. 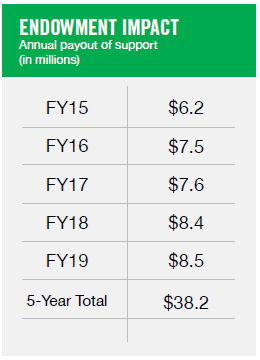 The Foundation manages donors’ endowments to produce earnings that support designated University of North Dakota programs, including students, faculty, and academic programs. 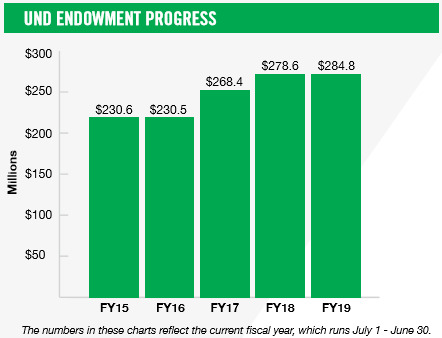 For information on last quarter's endowment performance, click here.